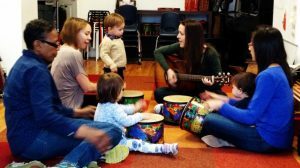 Music Shakers is a mixed-age class for young children and their caregivers! In this class, children (4 months to 20 months) will combine rhythm instrument play and exploration to live music and seasonal songs, musical movement, story and active listening. Classes will accommodate up to 8 children attending with 1 parent. Siblings under 4 months free! Classes will take place 218 W 72nd St on Tuesday from 11:30-12:15. To register for the class, please fill out your information on our Music Shakers Form. Studies show that integrating music at an early age helps the brain make cross hemispheric connections. These connections support the brain in developing language, motor, and social skills. 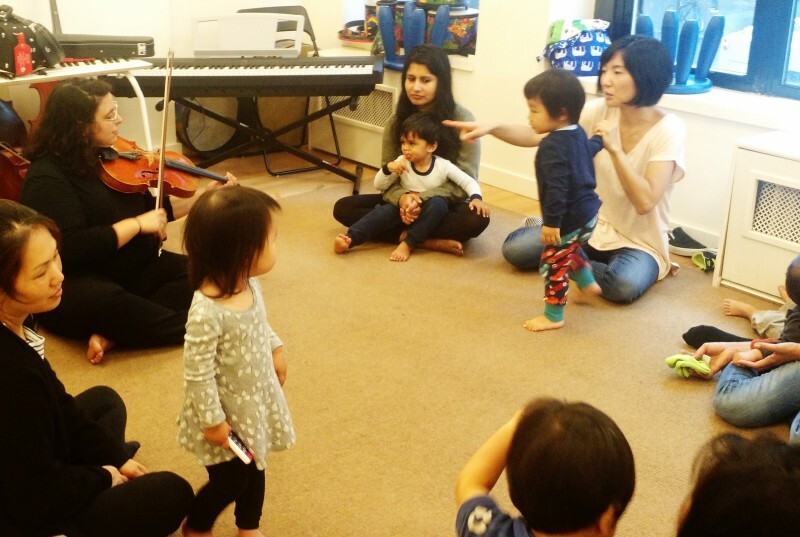 The songs, actions, and rhymes that we will learn in this class are geared towards developing a child’s inner sense of rhythm (linked to literacy) and sense of pitch. The use of repetition will support the child’s ability to try new things in a supportive and routine environment. We hope you’ll join us this spring.